The Maruti Suzuki Alto has clocked a growth rate of 6 per cent in 2017-18 and has garnered a market share of 33 per cent in its segment during the same time. Maruti Suzuki announced that the Alto has scaled the unique feat of 35 lakh sales in cumulative wholesales. There's no doubt that the Alto brand has been one of the best-selling car in India for 14 consecutive years and the company has been updating the product to keep it more relevant. In fact, the options available with the Alto are all encompassing and you see it get an AMT and it's also available in a CNG variant . According to the company, about 18 per cent of Alto K10 sales come from the AMT variant and that speaks volumes about the demand for automatics in the country. Commenting on the success of Alto, Mr. R S Kalsi, Senior Executive Director (Marketing & Sales), Maruti Suzuki said, "Maruti Suzuki has systematically upgraded the Alto to meet the ever evolving customer aspirations and strengthen the brand Alto. In 2017-18, nearly 55 per cent of customers have selected Alto as their first car purchase in 2017-18. 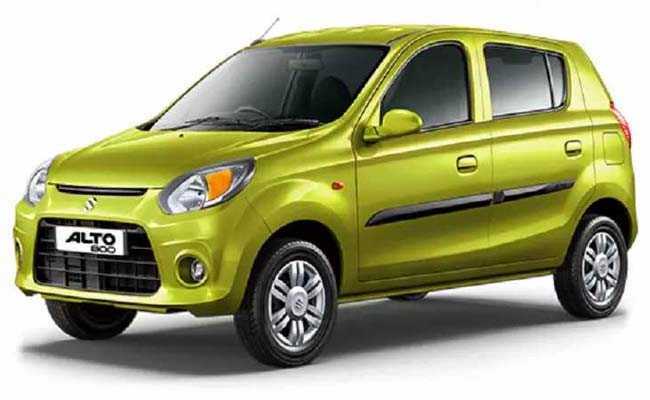 Interestingly, 25 per cent of Alto buyers are buying it as an additional car,"
Alto has clocked a growth rate of 6 per cent in 2017-18 and has garnered a market share of 33 per cent in its segment during the same time.